Fort Erie is really two forts, separated by an earthen berm. 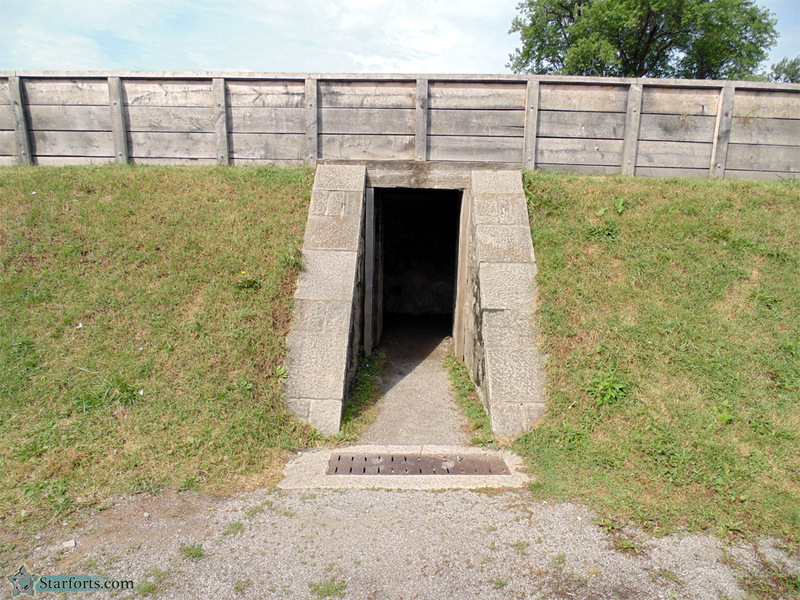 The British were masters of the redoubt, and that's essentially what all of Fort Erie's landward side could be considered. If an attacker came after the fort from that side and managed to fight their way in, they'd still have to overcome this defended earthwork to get into the main part of the fort, where all the cool stuff was kept. Won't you join me as I step through this portal? Sure it's dark, but don't be a pantywaist nancyboy like Captain Kingsley of the 8th Regiment of Foot.